We have finally visited Dover Castle! The Day was perfect for photos!!! Dover Castle – the Great Tower at Dover Castle was built to entertain Europe’s most powerful pilgrims on their way to Thomas Becket’s shrine at Canterbury Cathedral. The building of the great medieval stone castle atop the White Cliffs started in the 1160’s. At the castle’s heart stands the Great Tower, a place designed for royal ceremony and a symbol of kingly power guarding the gateway to the realm. English Heritage have done a fantastic job of restoring and recreating the Great Tower as it may have been in Henry’s day. The Great Hall and the bedroom are astounding. It must have been super exquist to live there in medieval times, albeit very dark and cold, brrrrr. Besides the great tower we also visited the ramparts, though we didn’t have a chance to visit the medieval tunnels as there were so many things to see within the castle walls. 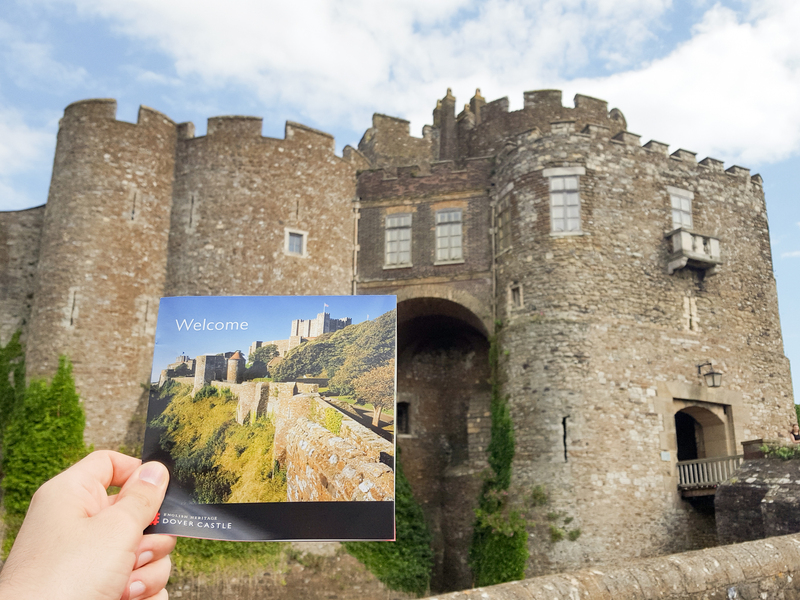 Dover Castle is way bigger than we thought and it’s a brilliant place to explore. We are definitely going to visit again….hopefully to see the tunnels. The views are astounding and the moat is awesome.There is no way anyone would have been able to attack very easily. We can highly recommend a visit and do set aside at least 6-7 hours to explore the various tunnels and within the great tower. and another 2 hours for the cliffs. Dover Castle, the key to England for over nine centuries, this mighty fortress of Dover Castle displays at it’s core a dazzling evocation of a medieval royal palace. There are also secret wartime tunnels to explore. We took multiple photos for you all to enjoy and wow in excitement! enjoy.